Currently Australian broadband speeds range from between 1MB (ADSL) to 24 MB (ADSL 2+), how that may all be set to change. 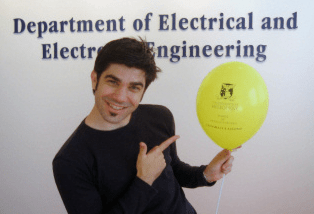 An Australian researcher Dr John Papandriopoulos as part of his PHD at the University of Melbourne, has developed technology that allows for between 100MB and 250MB speeds over existing cabling. The technology details are sketchy, but it centers around reducing the interference and losses along cabling. It would require changes on the ISP end, as well and new modems/routers for consumers, but for those speeds I’d definitely be will to lay out some coin. This solution, however far away it is, would be far cheaper than rolling out fibre to the home or even fibre to the node. Dr Papandriopoulos is heading over to the US to work for a start-up funded by Standford University, it’s clear his research has been noticed for it’s potential benefits on a global scale. Dr Papandriopoulos hopes it will be available within 3-4 years. I’m hoping for even sooner. More @ Uni of Melbourne.